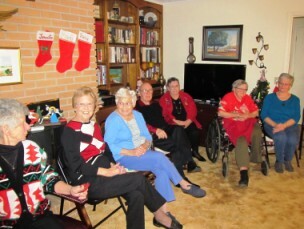 Jennifer, Betty and I continued our tradition of a Senior Christmas Dinner. Many former attendees have passed on or became unable to attend. We still had about 25 present and we always enjoy this time with relatives and �old friends�. On the whole, 2012 has been a good year. We ended the year in good health and our family is enjoying generally good health. As in other years, we lost a number of friends and clients to death. 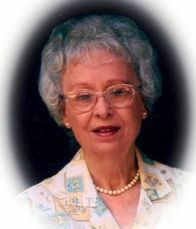 My mother’s last surviving sister, Hazel Terry Bloodworth, died in McDonough, GA, on May 9. We saw a lot of my maternal relatives at the viewing and funeral. Betty and I had visited her and her husband, Clifford, regularly over the last decade or more. We still visit Clifford (66 years of marriage!) who misses his life partner and has some health issues himself. Jennifer, Betty and I continued our tradition of a Senior Christmas Dinner. Many former attendees have passed on or became unable to attend. We still had about 25 present and we always enjoy this time with relatives and ‘old friends’. My law practice is now limited to matters of Probate, Wills, Estate Planning and some real estate transactions. A few years ago, I started mailing to clients several hundred original wills in my office safe as I look toward retirement. Some interpreted the letter to mean that retirement was imminent. However, I plan to continue as long as my health allows it. It has been a busy time at the law office this fall as more folks seemed to learn that we are not retired. Some probate has some stressful moments but most folks are grateful for assistance at a time of deep personal loss. There is much personal satisfaction in assisting people in a time of need. On the political scene, most readers know that I am not a supporter of President Barack Obama. His re-election was a surprise and a disappointment for me as well as with many friends and citizens. I am conservative but consider myself flexible and open to the opinion of others. Some extreme right-wingers might call me a RINO. However, those folks have really lost favor with me. I think they are living in a fantasy world if they think they can elect an extreme right-winger to the Presidency. That day is gone. The American Populace has changed and the GOP and Democrats must change too. Rush Limbaugh, Sean Hannity, Neal Boortz, Herman Cain et al have no appeal for me anymore. They are just not in the real world that we are living in. I feel the same about MSNBC personalities and other extreme left-wingers.Both extremes are not healthy for our nation’s future.As one who spent 30 years in public life, I know that no one can have their absolute way in government and politics. Compromise and working together is the only way to accomplish anything.Unfortunately, too many “leaders’ in our nation do not understand or practice that. It is my fervent hope that our nation and its historic values continue. New folks and elections can make adjustments.